Mornings have been ideal for photography the past several days…well, sort of. 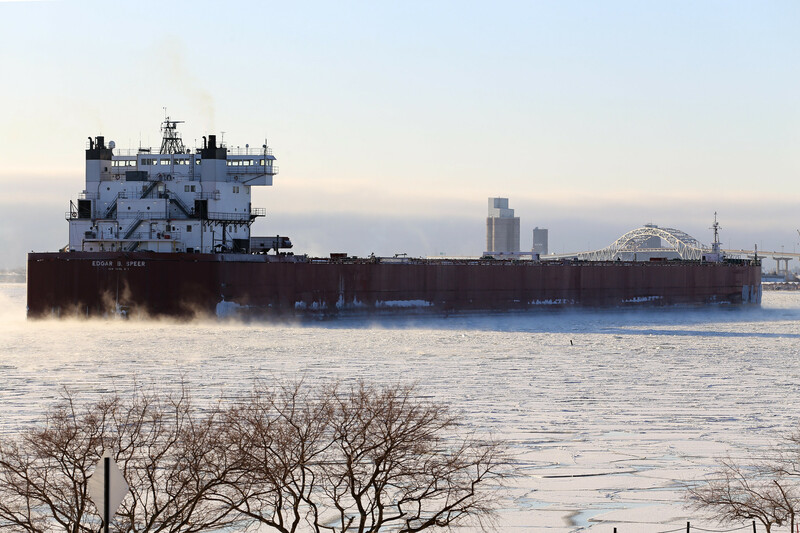 The subzero temperatures have made the sea smoke rise from Lake Superior, it has also caused delays in shipping which have left several ships out on the lake making for great photo ops. 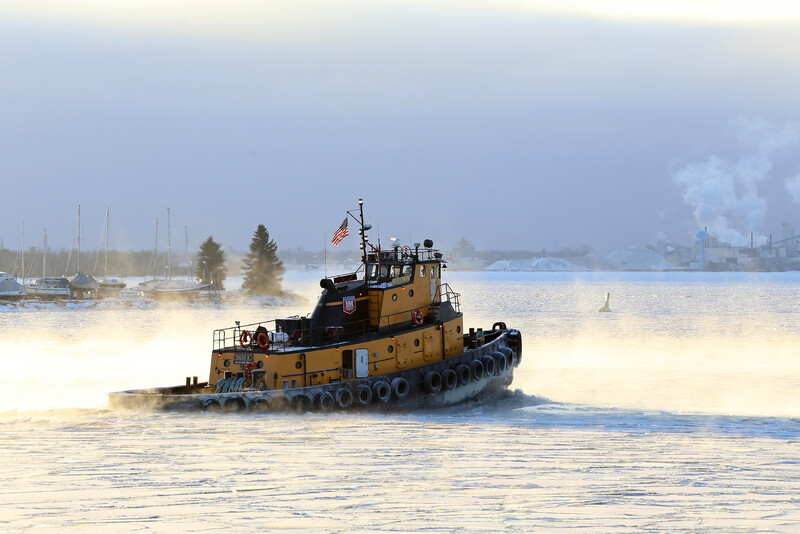 On Friday, I was pleased to see the tug boat, Helen. 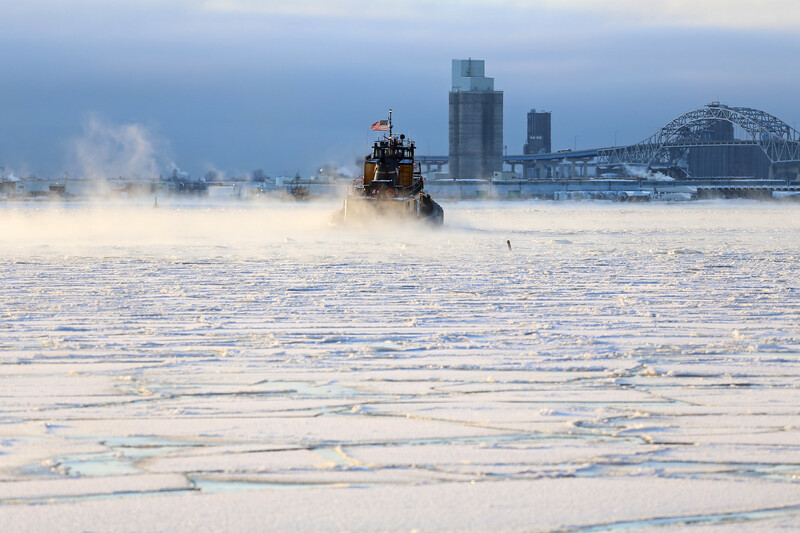 H., of Heritage Marine, cutting through the ice in the harbor. She was heading away from me as I grabbed my camera to take photos in the -15 degree temps. I was a little disappointed at first, because I has hoping for a nice close up, but instead I got this. 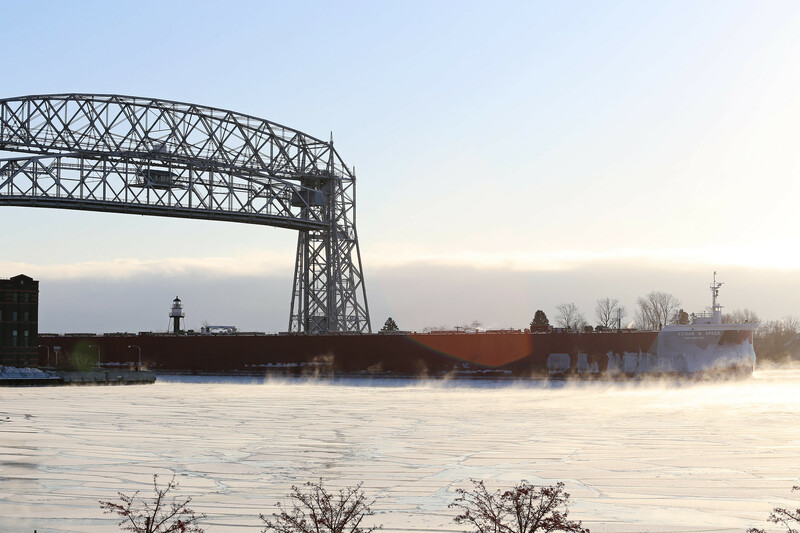 I had a hunch that she wasn’t finished yet and would circle back around to create a larger path for a large ship to come in under the Aerial Lift Bridge, so I went back outside a few minutes later and took this photo which was featured as Capture Minnesota’s Photo of the Day today. 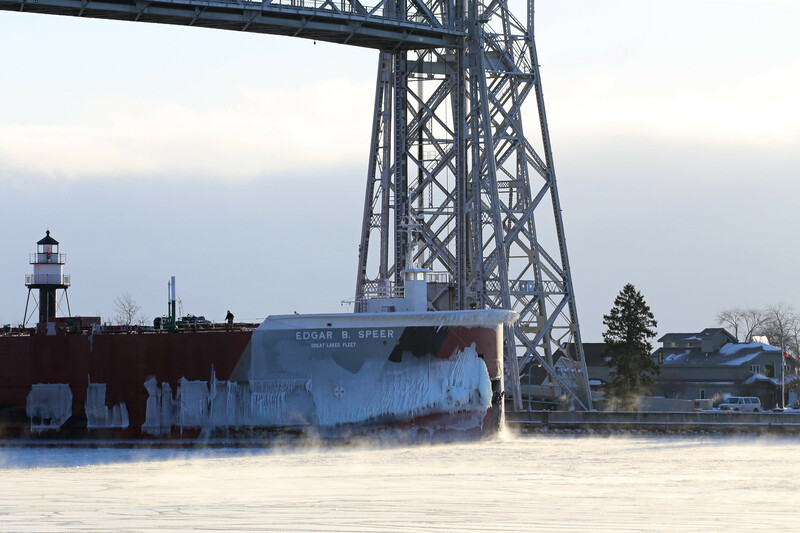 After nearly freezing my fingers off, I went back inside, only to hear the bridge’s horn signaling a ship coming through. I headed back out to see the Edgar B. Speer come in under the bridge. 9:03a.m. – Check out the crewman at the bow of the ship. Brr! 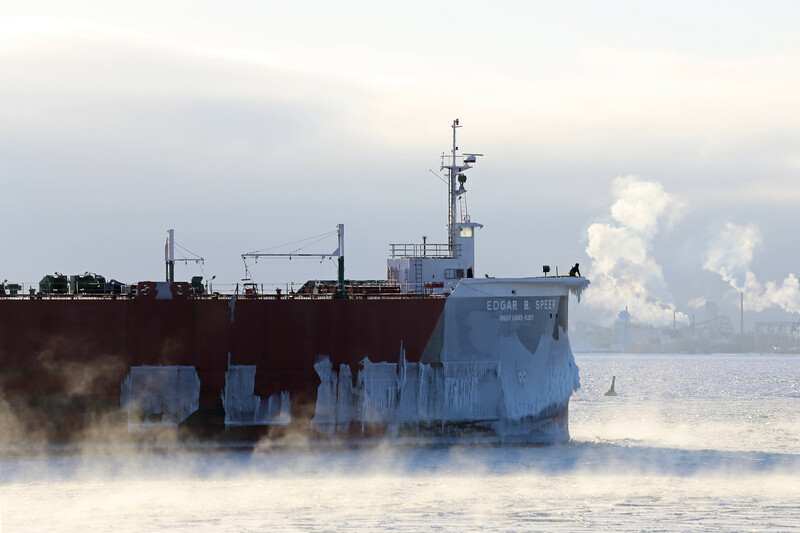 I think it was worth numb fingers to catch these images depicting the difficult conditions for the shipping industry on Lake Superior.